It’s no secret that online giving has grown into an incredibly important channel for nonprofit fundraising. Over the past decade we’ve seen consistent growth in online giving across the board. The 2016 M&R Nonprofit Benchmark Report found that between 2013 and 2014, online fundraising increased for their participants by 13%. Even more impressive is the growth smaller nonprofits are experiencing. The 2015 Individual Donor Benchmark Project (you can read the fascinating report focused exclusively on small nonprofits here) found that from 2014 to 2015, online revenue increased by 130%. From 2013 to 2014, it grew a whopping 403%! So, we clearly need to have a solid grasp of what is working and where we’re heading with online giving. We want to understand why it’s growing so rapidly and what this growth means for our fundraising approach. But sometimes the implications of this data are misinterpreted. This has led to some widespread misunderstandings about what’s truly going on with online fundraising. If you’ve ever attended a seminar, or read a book or website post about nonprofit email communications, no doubt someone’s told you you should be testing and optimizing your emails. For small nonprofits, figuring out how to do testing can be a daunting task, even more so in the case of year-end email fundraising appeals, which hit in the midst of an already overwhelming fundraising season. 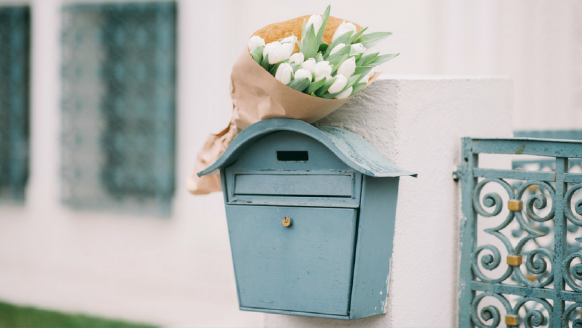 Should I Use a Mail House for My Direct Mail? Significant staff time is necessary to organize and manage the volunteers and navigate the complex bulk mail system. Fundraising staff time is better spent fundraising, and engaging donors rather than managing a mail program. A professional mailhouse is less likely than chatty volunteers to make errors in collation, like the addressee on a letter getting into the wrong envelope, for example. You really want to avoid that! Printing in-house is time consuming, frustrating, expensive (ink and wear and tear on your equipment), and error prone. It will truly make you insane. Most sophisticated mail houses use advanced, specialized technology for complicated sorting and automation (adding a bar code) that allows a mailing to qualify for even further reduced postage prices. Instead of doing everything by hand, a mail house uses machines to fold, insert, seal, tab and even sort letters. Most will even print your text on the preprinted letterhead you supply and can inexpensively print your organization’s indicia on envelopes when necessary. They will pre-sort your mailing list as well as the outer envelope ready to go to bulk mail. Your mailhouse will run addresses through the National Change of Address Association every time you do a mailing. This saves you money from sending to bad addresses and keeps you from losing donors who don’t get your mail piece. You may not know this but nonprofits do not need to have their own mailing permit/ account with the USPS when they use a mailhouse. As long as your organization is a 501(c)(3) certified nonprofit, the mailhouse can use their own mailing permit to secure the lower nonprofit rates. You do not need to pay an annual permit fee or worry over making a deposit in your USPS account at the time of your mailing. The mailhouse will just invoice you for the postage. Find a good mailhouse. It is cheaper, faster, and you will enjoy your job more! This is the 4th article in our year-end follow-up strategy series. So your appeal is in the mail and you are ready to think about emailing a follow-up to your donors. We all know how to email! It shouldn’t be that complicated, right? Except that when you do sit down to get started, you may realize there is actually quite a bit to figure out. For instance, if you’re unfamiliar with your email software or if you’ve inherited an email list that either wasn’t managed well in the past or doesn’t integrate with your donor software, determining where to start can be overwhelming. I’ve dealt with this before and it isn’t pretty. Or you may begin to wonder, “How many emails do I send?” or “When is the best time to send them?” You’ll need images. You’ll need a ‘donate-now’ button. You’ll need new stories to tell. It is enough to make you think twice about even starting. This article is part 3 in our year-end follow-up strategies series. “Test Everything!” We all hear this over and over from the fundraising gurus. Clearly, it isn’t possible in terms of time or finances to actually test everything. This is the 2nd article in our year-end follow-up strategy series. Although some fundraising experts believe a telephone call is still an effective fundraising technique, there is a lot of skepticism in our evolving digital fundraising world about telemarketing as a part of an annual campaign. Don’t donors hate telephone calls? Do people even answer their phones any more? I believe the effectiveness of the phone-a-thon lies in how it is conducted and who is doing the calling. For an established donor of your organization, a personal phone call or voice mail from a volunteer (who is a fellow donor and an organizational insider) is a completely different experience from an external telemarketing phone call. Providing this kind of personalized donor experience is a great way for smaller organizations to stand out, engage their donors, and make them feel known and appreciated. The really good news is that conducting a small scale phone-a-thon is a simple, inexpensive effort for smaller nonprofits to include in a year-end fundraising plan. It is also easy to test and evaluate your first phone-a-thon for effectiveness. Step 2: Identify and print a spreadsheet of your best donors who have not yet made a gift in the current calendar year. You’ll want to plan on a maximum 30 donors per caller per hour. Your phone call sheet should include name of both spouses when applicable, phone number (including area code of course), date of the last gift received. The number of years of giving is also helpful. Also include ample space for the volunteers to write notes on their call sheet. Step 3: Schedule a phone-a-thon and invite your prospective callers. If you have several telephones at your organization, it is usually best to have all your callers come in to your office at one scheduled time and knock out the calls together. Alternatively, you can schedule individual times for your volunteers to make calls either on their own or at your office. Either way, be sure to have them complete the task within your very narrow time frame. thank them again and invite them to call your ED if they have questions. “I am calling to ask if you would consider joining me again this year to help more children learn to read. You are special to us and you are one of the families we’ve been able to count on for support [Break for response]. Step 5: Make a folder for each caller containing their individual call list, sample script, credit card donation forms (if applicable), organizational information including web address and phone number. Step 6: After the phone-a-thon check the comment sheets and mail any requested information, update any disconnected numbers, etc… Keep a record (preferably in your electronic database, but excel will work, too) of exactly who was called so that you can track which calls eventually resulted in a gift. Step 7: Evaluate and document. Calculate the response rate and average gift amount of the donors who received calls. Don’t forget to thank your volunteers and get their feedback on the experience! In part 3 of our series, we’ll discuss how to design a test of the phone-a-thon’s effectiveness. Don't Just Sit There! Follow-up! Once your annual appeal is well on the way to your donor’s mailbox, don’t just sit around checking the mail and counting the money! Get moving on your follow-up action plan. This October in particular is a great time to get your act together. While the 2012 Presidential Election kicks into gear and consumes all attention, you can make headway on your next step. Through a series of upcoming posts, we’ll get into the details of how to follow-up your mailing and evaluate its success. When is the right timing for a second contact? Typically, you can plan on 3-4 weeks after the first letter’s drop date. Exceptions can certainly be found, however. For example, if your letter hit September 15, 2012 you should hold off until mid-November when the election mailings are out of the way. Even in a non-election year, it may be best to follow up closer to year-end. Which donors warrant the extra effort and expense of a follow-up? have given more than one gift to your organization ever. These folks are typically the most likely to renew and are the ones you really want to pull out the stops to keep. Pull these donors into a mailing list and tag them in your database so that you can track their responses. send a second letter via mail? Mail is the most expensive route, but if you can find the money and have the time it is probably the easiest to implement. Email follow up is my favorite way to go because (1) it is faster and cheaper and (2) reaches out to your donor in a different way and thus may be an easier way for the donor to take action. However, if you aren’t yet familiar with your email program (if you even have one) it could add a level of complexity. Phone calls are often also cheaper, faster, and a way to incorporate a different channel for communication. They are also fairly easy to implement. Your budget, experience, time frame, and access to volunteers will help you determine which of these is best for your campaign. Over the next several posts, we’ll talk specific actions, beginning with telephoning your donors. Have you segmented your donors? Here’s why you need to do it now.